Symphony of the Night and Super Metroid made me love the metroidvania genre, instilling in me a deep respect for adventures with lots of exploration. Meanwhile, games like The Binding of Isaac taught me to love roguelikes, for their near infinite replay value and challenge. Though I have yet to play a true Souls style of game, I’ve played enough other challenging games to appreciate them. So when a game combines the best aspects of all three, I get very excited. That game is Dead Cells. The beautifully detailed and visceral pixel art was only the first sign that I would enjoy this game. The next came from the main character, which is essentially some sentient slime that takes over a headless corpse. Though deprived of speech, it has full motor control over its host, which is used to deadly effect. You’re able to have a primary and secondary weapon controlled at the same time, and the demo starts you off with a sword and a bow. With vicious ease I was able to pick up the combat, slashing and hacking foes with rapidfire combos into a pile of red goo. From the get go you only have those two weapons, a dodge roll move and the capacity to double jump. 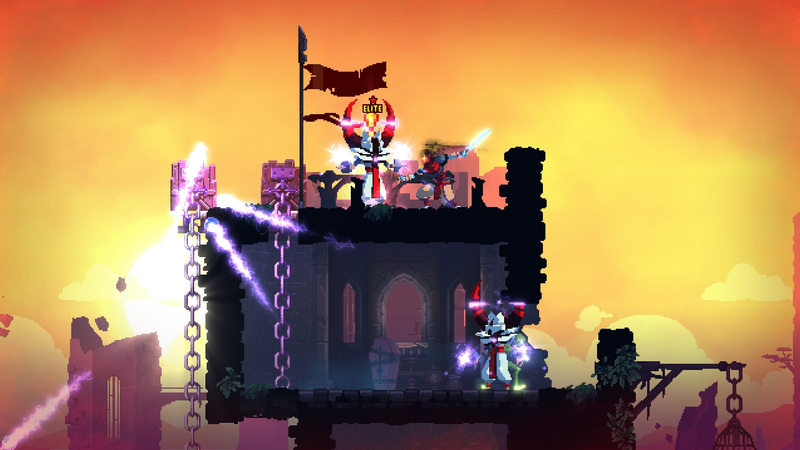 Your goal is to make your way through an ever changing castle, slaying enemies for their loot and potential cells. Like the title suggests, you utilize these cells for a purpose. Specifically, you can trade them to a menacing character for permanent upgrades. The first one the game suggests is a health potion, but later on I used my precious cells to unlock a grenade to toss around. You are also able to improve your stats, and can find temporary abilities to use, such as a wicked frozen blast to stop foes in their tracks. 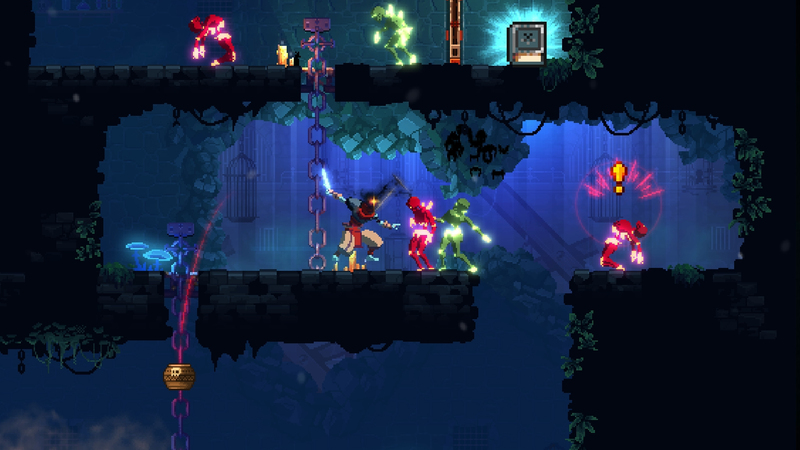 That might all sound familiar, but I promise the way Dead Cells structures things keeps it fresh and interesting. For one thing, there are no checkpoints, so every time you die you start over from the very beginning, only keeping those features you’ve unlocked. The one concession to that design is the portals strewn regularly throughout the game, which allow you to fast travel. Your main goal will be to defeat elite monster units to unlock the farthest depths of the castle, which eventually lead to the final boss. 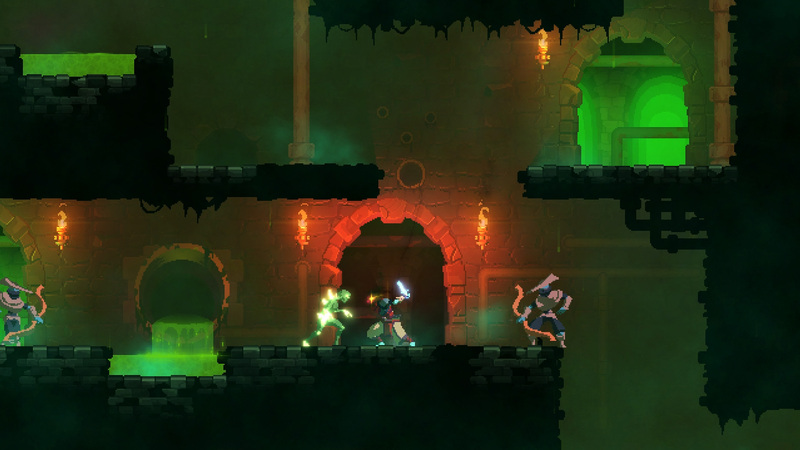 Dead Cells is one of those games you really need to see to believe. It’s available now for early access via Steam, and may even make its way to consoles. I personally am a huge fan of the game already, and can’t wait to see how it continues to grow. Motion Twin may have a winner with this one. 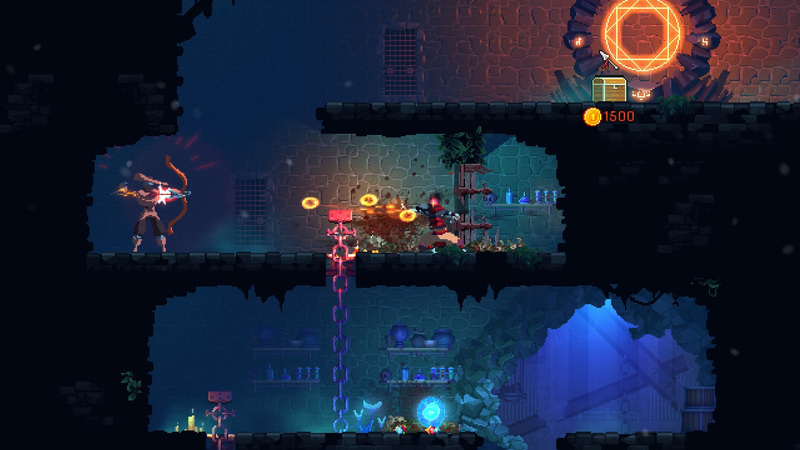 Stay tuned to oprainfall for more news about Dead Cells as it progresses.